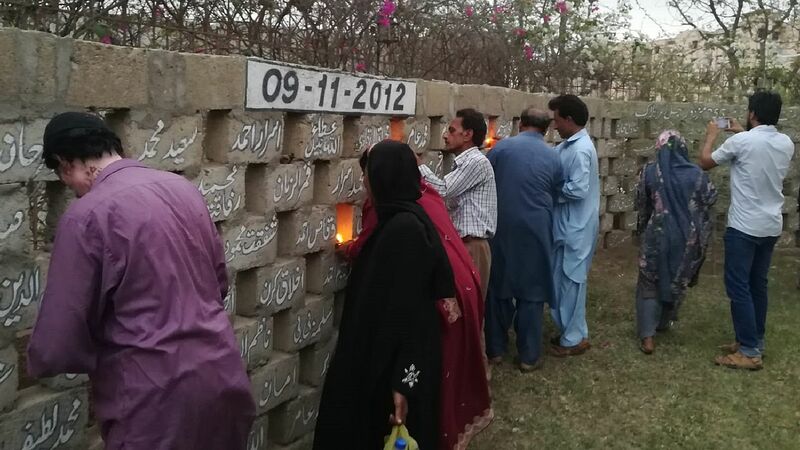 More than 250 people died and over 30 were injured in a fire at the Ali Enterprises textile factory in Karachi, Pakistan, on 11 September 2012. ECCHR together with an international coalition of human rights organizations filed an OECD complaint to the Ministry for Economic Development in Rome against RINA Services S.p.A. from Genoa. Just three weeks before the fire, RINA awarded the factory – which mainly produced for German retailer KiK – with the international SA 8000 certificate which is supposed to guarantee safety and other workplace standards. The complaint was filed on the 6th anniversary of the factory fire. One day later – on 12 September 2018 – the judge in the parallel criminal proceedings against RINA heard the arguments of those affected and accused. The court will decide in autumn 2018 whether and how the proceedings will be continued. RINA could have prevented hundreds of deaths had it done its work properly. At the factory, many of the windows were barred, emergency exits were locked and the building had only one unobstructed exit, impeding the exit of employees who suffocated or were burned alive inside. In Italy, the survivors and relatives of those deceased on 11 September 2012 are represented by ECCHR partner lawyers Stefano Bertone and Marco Bona. In 2014, Bona and Bertone submitted a report on the factory fire and the role of RINA to the Italian state prosecutor in Turin. In early 2016, the case was transferred to the prosecutor in Genoa (Procura della Repubblica di Genova), where RINA’s headquarters are located. The OECD complaint is the one of the legal avenues that ECCHR is pursuing in this case. The OECD Guidelines oblige companies from state parties – including RINA in Italy – to uphold human rights in their business activities abroad. Certification companies play a key role in the exploitation of workers from the Global South. Instead of state monitoring, which often lacks the necessary financial or political support, private companies take on the auditing of labor, health and safety standards. These private audits are widely criticized for flaws in their methodological approach. In many cases, the certifiers are employed and paid by the companies under audit, and the best interests of the employees are often neglected. Any natural or legal person can lodge a complaint at one of the OECD's National Contact Points regarding the breach of the Guidelines for Multinational Enterprises, regardless of whether the complainant has been personally affected.